Department of Biostatistics, Institute of Translational Medicine. We are pleased to invite applications for a fully funded 3-year PhD studentship at the University of Liverpool. A description of the project entitled “Joint modelling of Longitudinal and Time-to-event data” which is jointly supervised by Prof. Paula Williamson (Biostatistics), Dr. Ruwanthi Kolamunnage-Dona (Biostatistics) and Dr. Enitan Carrol (Paediatric Infectious Diseases) is given below. The studentship is available to applicants from the UK and the EU, with a background in statistics and experience in data analysis, and includes a stipend of £13,500-£14,500 pa and annual tuition fees at the UK rate for up to 3 years. The CLOSING DATE is 01 August, 2011. Candidates should send a CV with covering letter to Dr. Ruwanthi Kolamunnage-Dona (kdrr@liv.ac.uk). For information about related research within the department please visit http://www.liv.ac.uk/joine-r/. 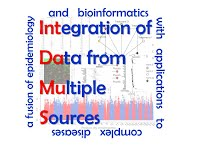 More information about the Department of Biostatistics can be found at http://www.liv.ac.uk/medstats/. The aim of this study is to implement statistical methodologies accounting for timing of clinically important events (eg. disease onset) as well as informative patient dropout to assess the outcomes of patients followed longitudinally. It is now common for longitudinal data to be available alongside event history data in clinical trials and observational studies. A major difficulty is how best to merge information from the two sources. Analysis of the incomplete longitudinal data poses additional challenges especially if patient dropout is nonignorable or informative, as the reasons for dropout are varied over studies and it is often difficult to justify the assumption of missing completely at random. Joint modelling of combined longitudinal measurements and event time data are currently both under-developed and under-used in clinical research. Naive treatment of longitudinal measurements as a time-dependent covariate in event time studies, or failure to recognise selection effects in longitudinal data analyses caused by differential follow-up times, can both lead to significant errors. Case studies including observational studies of longitudinal biomarkers in early diagnosis and prognosis of sepsis (and other related infections) will be used to implement methodologies, and informative dropout are characterised and described through data from several paediatric clinical trials.